It’s a cool crisp day at Cooper River Park in Pennsauken, New Jersey, and Brandon Holiday is teaching a group of disabled adults the basics of kayaking. 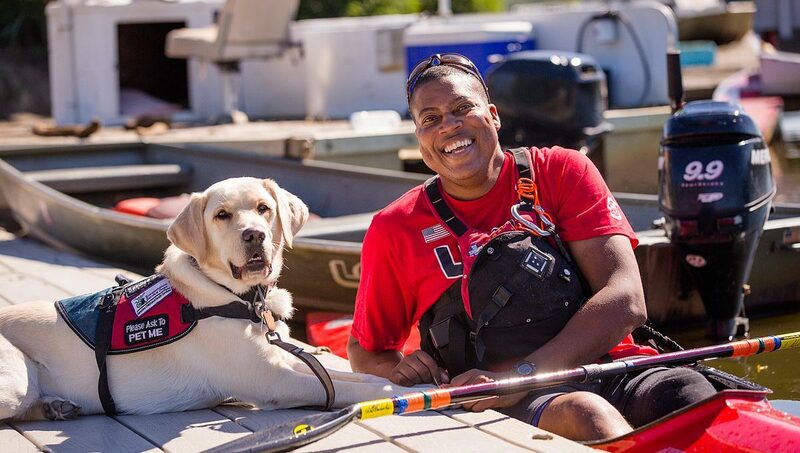 With his service dog, a yellow Lab named Dyson, sitting near him on the dock, Holiday shows the group how to steady the kayak while getting in and out, and then demonstrates basic paddle strokes. A lifelong athlete, Holiday grew up in Maplewood, New Jersey and spent his childhood and teen years playing various sports including tennis, baseball and participating in martial arts. Yet he also remembers how he spent much of his childhood fighting high fevers and experiencing unrelenting joint pain. Brandon Holiday mentors children and adults with cognitive and disabling chronic conditions. An autoimmune disease, lupus affect the joints, skin, kidneys, blood cells, brain, heart and lungs. While there’s no cure for the condition, there are treatments available to help control symptoms and minimize flare-ups. Determined not to let his condition define him, or deter him from pursing his dream of becoming a police officer, Holiday finished college and joined the Salisbury, Maryland police department in 1996. He served on the police force for four years until he sustained an injury in the line of duty that exacerbated his lupus symptoms and caused severe blood clots. According to the Lupus Foundation of America, infections pose a big risk for people with lupus and aren’t to be taken lightly, since they pose the second most common cause of illness and death for those with the disease. With a heavy heart, Holiday left the police force and went on to work different jobs, but continued to have more medical issues due to the lupus. Suddenly Holiday found himself facing one of the greatest challenges of his life. After four months in the hospital battling blood clots, and undergoing wound care and hyperbaric chamber treatments, doctors told Holiday they needed to amputate his left leg below the knee. Rather than offering suggestions on coping with his new reality of being wheelchair-bound, Holiday was frustrated that his doctors believed he was manic depressive. After being released from the hospital, Holiday began doing online research to determine if there was a way he someday might be able to participate in athletics again. He knew keeping active was not only key to easing his depression, but that low-impact exercise also offered long-lasting benefits to people with lupus. Holiday learned about the Challenged Athletes Foundation (CAF), a San Diego, Calif., non-profit that supports and provides opportunities to people with physical challenges, in order for them to lead active lifestyles and compete in athletic events. A year after his surgery, he was awarded a grant by CAF to travel and attend their annual Extremity Games, an extreme sports event for people with disabilities. Holiday took up the sport of kayaking and found he enjoyed the peacefulness of being out on the open water, and that training to compete in national championships gave him a purpose he desperately needed. As Holiday regained his strength and was fitted with a prosthesis, he began to cross-train in other sports, and became involved with mentoring other adults with disabilities through the national group, Athletes with Disabilities Network. Holiday so enjoyed his work with other disabled athletes that in 2016 he launched a Northeast chapter of Athletes with Disabilities in Cherry Hill, New Jersey where he serves as Executive Director. Just because you’ve got a condition doesn’t mean you can’t find humor in it. 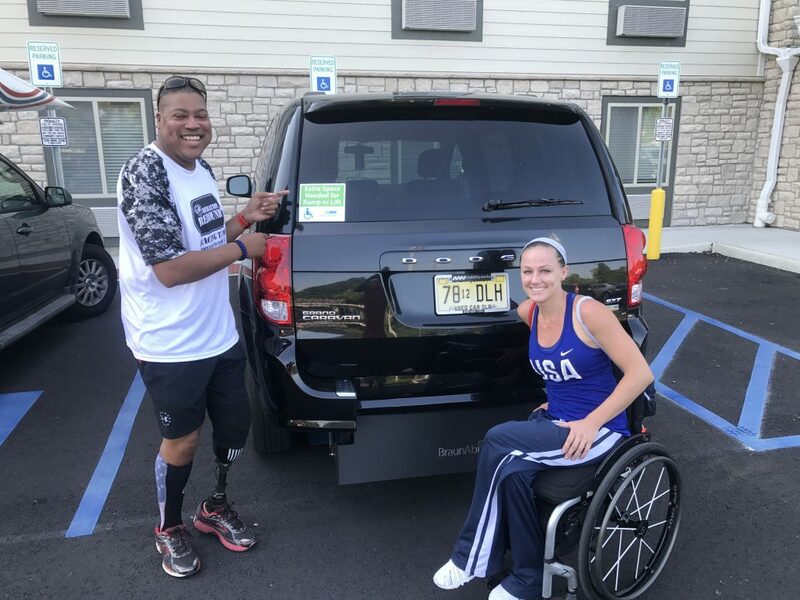 Today, Holiday is a member of the National Paracanoe Team and hopes to secure a spot on team USA for the 2020 Paralympics being held in Tokyo. 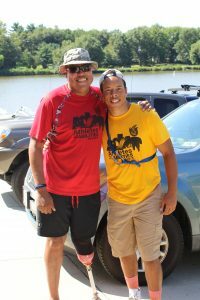 Over the past 10 years he has won a bronze medal in martial arts, a silver medal in recreational kayaking, and seven gold medals in kayaking at the U.S. Sprint Nationals Championships in 2014, 2015 and this past summer. Despite having suffered 10 heart attacks as the result of pulmonary embolisms, caused by blood clots, stasis wounds to his legs, and skin grafts, Holiday pushes himself to train 20 to 30 hours each week with a regimen that includes both weights and cardio. He says that being inactive actually makes his symptoms worse. 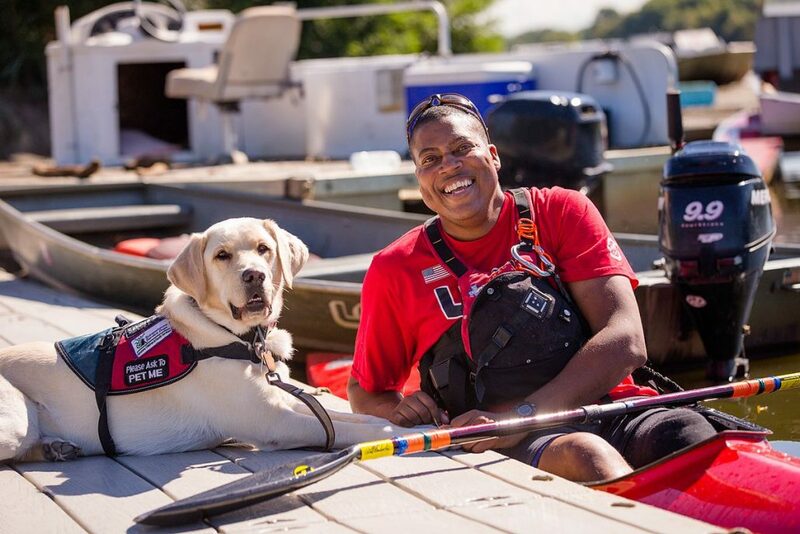 “I’ve learned to manage my condition through a combination of medication Benlysta (the first FDA-approved treatment for lupus in over 50 years) which has made a huge difference and supplements,” says Holiday who also receives assistance from his service dog and constant companion, Dyson. In addition to preventing his owner from sleepwalking and helping Holiday if he falls, Dyson has also proven to be a popular fixture at sporting events.